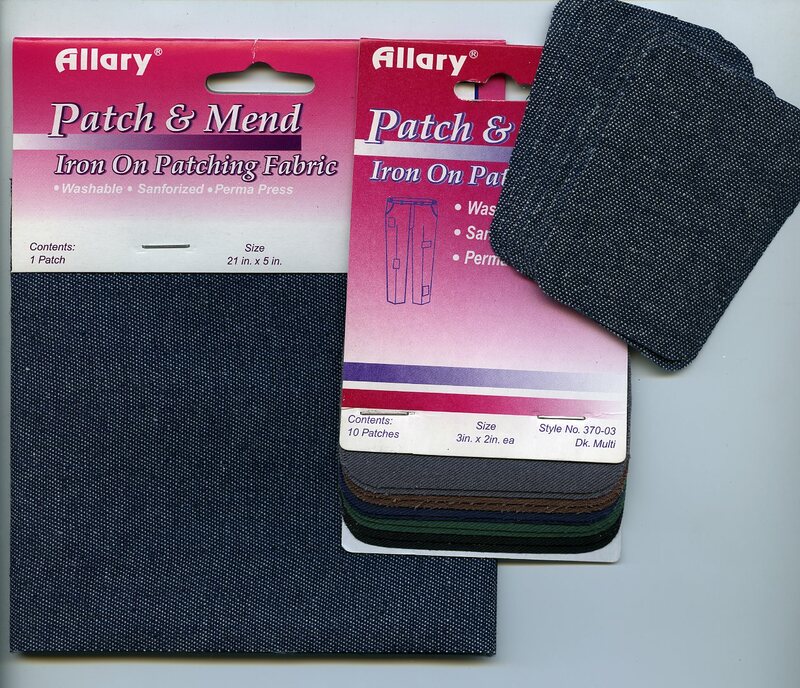 GROWING UP WITH SEARS BRAND TOUGHSKIN JEANS, ANY HOLE OR TEAR WAS QUICKLY REPAIRED BY MOM WITH AN IRON ON PATCH. (NOT ALWAYS OF THE SAME COLOR) IT WAS GREAT TO FIND THESE SIMILAR PATCHES IN MY LOCAL FIVE AND DIME. I REALLY LIKE THE DEMIN AND EARTH TONE COLORS AND WILL BE GIVING THEM A TEST RUN SOON. in winter the boys build up layers of these basically... I then moved on to cutting up old khakis and using fabic glue and patching them inside... haha. LOVE these old school denim patches.